Baker's New Testament Commentary is designed for serious Bible students and pastors who want the insight of quality evangelical scholarship communicated with clarity. This award-winning series is was researched and written for those who want a commentary of the entire New Testament that closely follows a reformed theological perspective. Complete footnotes and cross-references to all topical information. Baker's New Testament Commentary is designed for serious Bible students and pastors who want the insight of quality evangelical scholarship communicated with clarity. This award-winning series was researched and written for those who want a commentary of the entire New Testament that closely follows a reformed theological perspective. Each volume offers fresh translation of the Scripture, repetition of the text before each exegetical unit, verse-by-verse comments and applications, critical notes on the Greek text, and chapter summaries. Extensive bibliographies and indexes of authors, Scripture, and other ancient writings enhance the usefulness of each volume. Begun by William Hendriksen, Baker's New Testament Commentary has earned the acclaim and respect of reformed and evangelical scholars and pastors. Since Dr. Hendriksen's death in 1982, the series has been continued by Simon J. Kistemaker. Four of the volumes compiled by Dr. Kistemaker earned the Gold Medallion Award (Hebrews, James and 1-3 John, Acts, and 1 Corinthians). The series was completed in 2001 with the publication of Revelation. The following is excerpted from an interview between the Publisher (BA-Baker Academics) and the author (SK-Simon J. Kistemaker). BA: The first New Testament Commentary (NTC) volumes were published by Dr. Hendriksen, and you joined the project in 1982. What was the compelling reason for you to get involved? SK: Dr. William Hendriksen signed his first contract for the NTC series with Baker Book House in 1952 and when he passed away thirty years later he had completed more than half the set. The editorial committee at Baker asked me to continue authoring the series and eventually complete it. 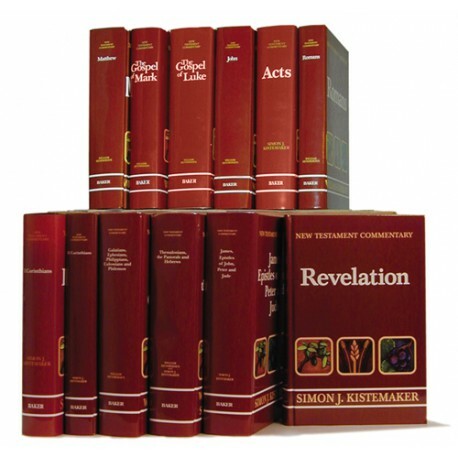 The last volume, Revelation, came off the press in 2001. I have always had a decided interest in doing exegetical work based on current scholarly pursuits, and consequently I wrote the second half of the series. BA: Please describe the work of Dr. Hendriksen as an exegete. SK: Dr. Hendriksen showed indefatigable zeal in writing the volumes for the New Testament Commentary. He was diligent in doing meticulous work by looking at the wording of the text, the historical setting and topographical environment, and the theological message in light of the context. He continued writing his commentary on Romans while suffering the ravages of cancer; yet he was able to bring this volume to completion. BA: Please describe the distinctives of this series compared to others available on the market. SK: The NTC series is the only complete set in the English language written from a Reformed perspective. The volumes in the set authored by Dr. Hendriksen and I feature the same evangelical objectives, the same helpful format, and the same distinctive emphases. 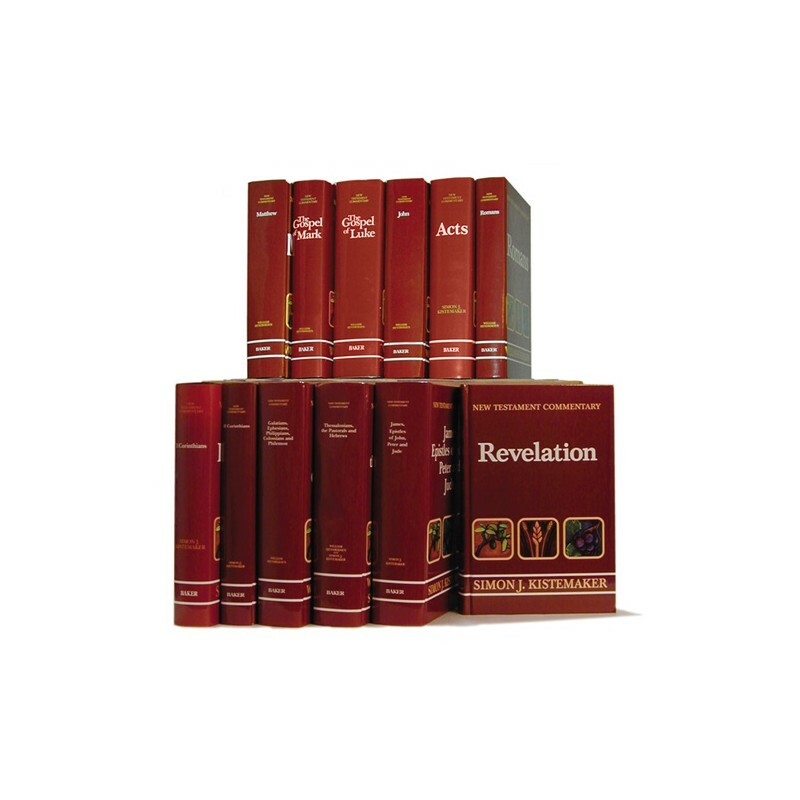 Each individual volume presents a verse by verse analysis, quality scholarship, sound exegesis, a fresh translation, doctrinal considerations, practical notes, and useful applications. As writers, we kept in mind the needs of the scholar, the busy pastor, and serious student of the Scriptures. The series is a worthy addition to every church library.